Welcome and experience a 17th Century hotel where fresh local cuisine meets traditional Orcadian hospitality in the heart of the ancient royal burgh of Kirkwall, Orkney. Dating back to 1670, the hotel offers every modern convenience, while retaining its original features and charms. Ideally situated in the town centre, the hotel is minutes from the magnificent St. Magnus Cathedral, Bishop’s and Earl’s Palaces and award-winning local jewellery shops. The infamous UNESCO World Heritage Site of Skara Brae, and Maeshowe and the Ring of Brodgar are an easy 25 minutes drive away. We are ten minutes drive from Kirkwall Airport. Whether you are planning a weekend getaway, a peaceful nature break from the mainland or including Orkney in your Scottish adventure travels, The Orkney Hotel is a unique find and here to serve your needs. The Orkney Hotel offers business professionals a superb venue and fantastic facilities for hosting corporate events as well as local community meetings and clubs. Sleep peacefully after a day in the fresh Orkney air, followed by a superb meal in our Garden View Restaurant. We offer 30 elegant and comfortable en-suite rooms. Superior and Deluxe rooms offer indulgent touches ranging from Jacuzzi baths to four-poster King beds. WIFI access is available throughout the hotel. Enjoy a three-course à la carte meal with tea/coffee for just £22.00 per person per meal when you book at least two night’s accommodation. Planning a day out in the country? Order a packed lunch from reception the night before and pick it up after breakfast the next day. Our packed lunch includes a sandwich of your choice, crisps, fruit, chocolate treat and a bottle of water, or can of juice or soft drink for £6.50 each. Offer available only at time of booking. For more details, please CONTACT US. The Garden View Restaurant overlooking our private garden offers a unique dining experience. We use the finest local ingredients including native bred beef and lamb, and daily harvested seafood. Planning a day out? Ask for a packed lunch at reception and we won’t forget to add Chef’s homemade shortbread. 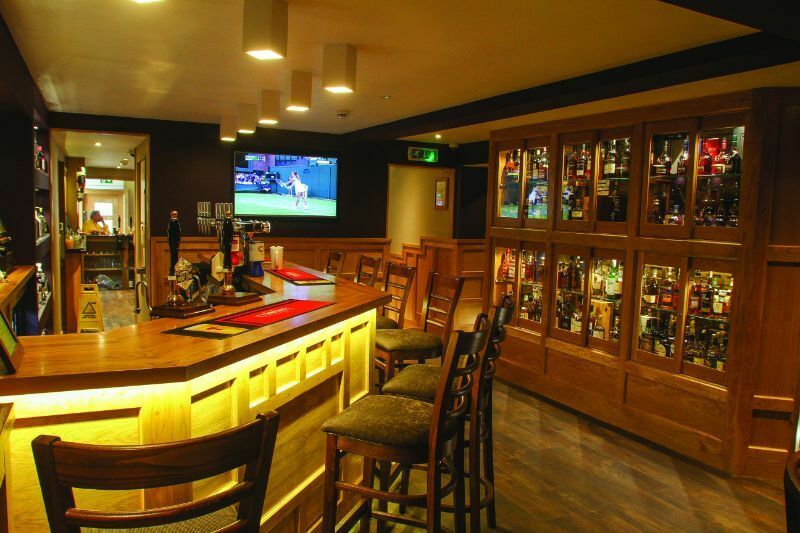 Our newly renovated bar launched in June 2016, features nearly 500 whiskies, and a wide selection of gin, wine and local draft ales. 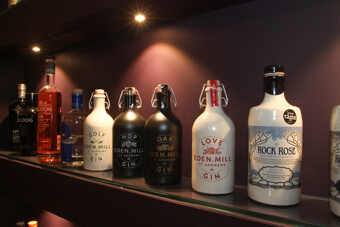 Visitors can choose from local distilleries such as Highland Park and Scapa. Draft ale changes weekly and includes selections from both the local Orkney Brewery and Swannay Brewery.